One of the latest in a long line of sub-£1,000 KEF standmounts, the R300 is pretty and technically interesting, being the only three-way loudspeaker here. It is one of the larger designs in the group and looks the part with clean uncluttered lines that give it an air of sophistication, helped in no small degree by the excellent finish (which comes in a choice of classic piano black, rosewood or walnut wood veneer). 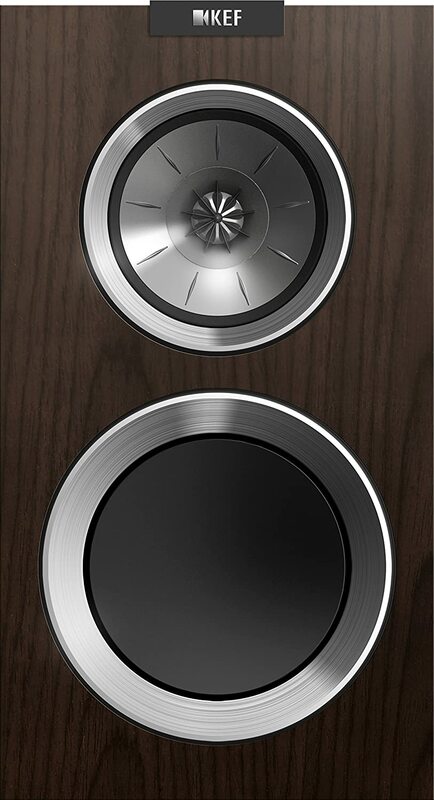 It sports the latest version of KEF’s Uni-Q driver array which takes care of treble and midrange duties, and a 165mm bass driver, effectively making it a three way design. The 25mm vented aluminium dome tweeter sits mounted in the centre of the 125mm braced magnesium/ aluminium midrange cone, and a 165mm bass unit made of the same material handles the lows. Crossover frequencies are 500Hz and 2.8kHz, which means they’re not done in the 1kHz region where the ear is especially sensitive – a key advantage of three-way designs. The cabinet sports constrained layer damping to lessen vibration. On the back there’s a reflex port and a terminal board with built-in, selectable bi-wiring links. 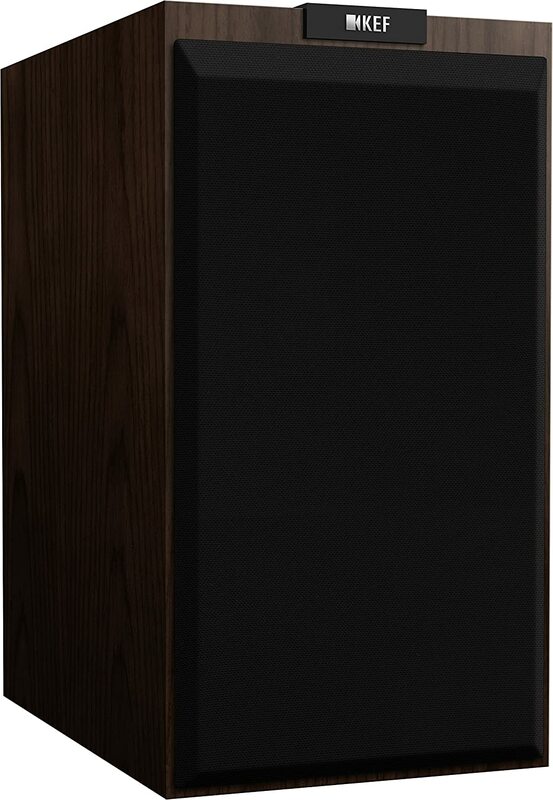 One of the finest sounding speakers here, this has much of what the best of the rest offer, and sometimes more. I’m first struck by the maturity of the sound; it has a smooth and extended treble, a clean and detailed midband and deep, extended bass – and it all integrates smoothly. It can help your baby have a good night sleep while staying in his best double stroller. The sub-bass on Transglobal Underground’s Temple Head shows this speaker going lower and with more poise than any other; it’s more like listening to a floorstander. Yet there’s no ‘thrummy’ peak up into the lower midband to give the illusion of more bass – it is even and well proportioned. Further up the frequency band, there’s a sense that the instruments can play more independently of one another than the other speakers. It’s fascinating listening to the decay of the snare drum on Made In England, which seems to hang in the air far longer than all other models here except for the MartinLogan. The Quadral is very clean and detailed too, but not the world’s most captivating listen – which is where the KEF scores over it and most others here. It’s very good in hi-fi terms yet lots of fun to hear. It doesn’t quite have the terrier-like energy of the Tannoy, but isn’t far off, and this makes it far less music-sensitive than most. For example, John Patton’s Ding Dong is lots of fun, with a big, powerful groove as well as a delicate cymbal sound and super-clean snare drum. There is always a trade-off between the size of a loudspeaker’s cabinet, the amount of bass it can reproduce, and its sensitivity. Because of the effort expended to move lots of air from a small box, more compact speakers are invariably less efficient and require more amplifier power. KEF claims the R300’s sensitivity is 88dB/1W/1m, which is good for a model of this size. It is likely that its modern hybrid magnesium and aluminium cone materials will be especially helpful here, as they’re lighter than more conventional plastic-based formulations. Another consequence of this is that transient speed should be good, too. The R300 is clever for packing a three-way design into the box, and this has been done well, exhibiting a smoothness that’s so often lacking in some rival models that use a more conventional two-way set up. It’s certainly a very interesting product.